You need a good straight drive to carry the brook on this tough par 4. Your blind uphill second shot has to avoid the large pit on the right hand side, go into this and you are in trouble. Any doubts and aim for the area just right of the artistic “dead tree” towards the top of hill. The large bunkers on the left hand side of the fairway and the well guarded green make this hole a true challenge for everyone. Centre of the fairway for your drive. 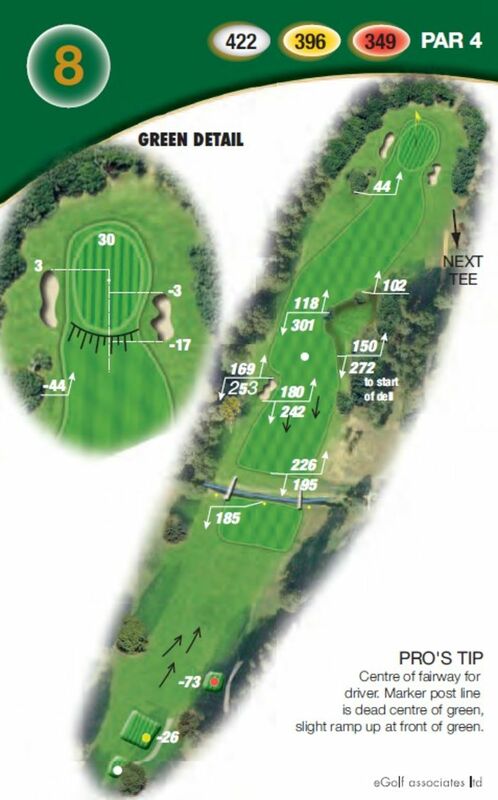 Aim for the marker post behind the green which has a slight ramp at the front. Your approach often plays one club more than you think.